It is perfectly understandable that people all over Melbourne want, and need, to keep cool during summer. Being stuck inside a house where the heat is building up, making your home more and more uncomfortable, is both frustrating and physically draining. So naturally people will keep their air conditioner on throughout the hot period to feel comfy. 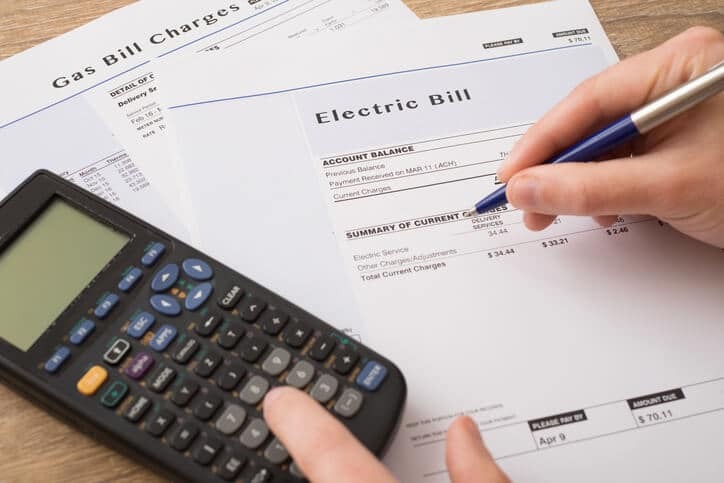 Unfortunately, the electricity bill for regularly usage of air conditioners can be very expensive, meaning there is less money for your other bills and expenses. However, it is possible to have low running costs for your heating and cooling system while keeping your family cool at the same time. Everlasting Air are heating and cooling experts with many years of experience. With the vast knowledge we have acquired in all things air conditioning over the years, we can recommend some great methods you can use to reduce your air conditioning bill. Our advice will allow you to keep your cool and not get hot headed by the bill or the heat. Many people neglect the state of their air conditioner during the colder months of the year when they are trying to warm up rather than cool down. Because of this, many air conditioning units will not work properly come summertime. This usually happens due to filters and ducts becoming clogged, faulty parts inside the system and compressor, or a malfunctioning thermostat. A poorly maintained air conditioning system will significantly underperform below its normal efficiency rate. The best way to ensure your air conditioner is ready for summer is to schedule an air conditioning repair service during the last month of spring. This will give both you and our technician more give to rectify any issues with your unit before the harsh summer heat hits Melbourne, especially since air conditioning companies get very busy during summer, so beat the crowd by getting in early. Most houses do not need to have the air conditioner operating all day long. Consider using it mainly when your family are in the house in the same room at the same time, such as the lounge room during meals. As the goal of your air conditioner is to keep the house cool at a reasonable temperature, rather than to make it a giant freezer, set the temperature at no lower than 23° Celsius so your air conditioner is not constantly in the high-power mode. Once your house feels cool enough, turn the air conditioner off. Over time, factors such as damaged pipes can cause gas leaks that make many air conditioners perform significantly below efficiency. Part of Everlasting Air’s air conditioning repair service in Newport, Sunshine, Tullamarine, and elsewhere in Melbourne can be to inspect the metal pipes where frosting may have occurred due to a gas leak. This will ensure you are getting value for your money when running a working air conditioner, rather than a faulty heating and cooling system that will still cost the same to run. Everlasting Air are able to provide our air conditioning repair service in Newport, Sunshine, Tullamarine, and elsewhere in Melbourne. Contact us today on (03) 9335 2900 for more information.